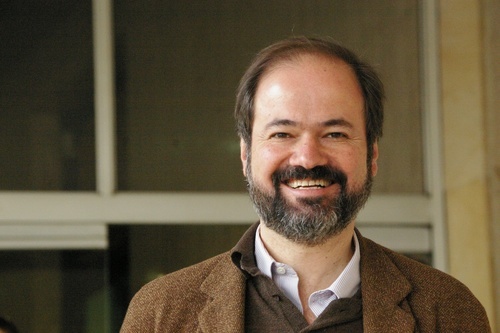 Juan Villoro’s journalistic and literary work has been recognized with such international prizes as the Herralde de Novela, Premio Xavier Villaurrutia, Rey de España, Ciudad de Barcelona, and Vázquez Montalbán de Periodismo Deportivo, and Antonin Artaud. He has been a professor of literature at UNAM, Yale, and la Universidad Pompeu Fabra de Barcelona. He is a columnist for the newspapers Reforma and El Periódico de Catalunya. 1. What was your favorite part of the book? What did you like about it? 2. Which of these characters would you like to meet in real life? 3. Describe an adventure you would go on if you lived in this magical library with Uncle Tito and Eufrosia. 4. Was there anything in the book—maybe an event or a person—that reminded you of your own life? 5. Uncle Tito tells Juan that The Wild Book will only reveal itself to Juan, but the quest for The Wild Book eventually involves Juan, Catalina, Carmen, Uncle Tito, Eufrosia—and even the cats! Why do you think The Wild Book wanted to be found by so many people? 6. At the beginning of The Wild Book, Juan says, “When I like something I like to repeat it, never growing tired of it.” He orders the same kind of pizza, re-reads the same book, and sticks to what he knows he likes. Do you think Juan learned to value new experiences? 7. Catalina believes that Uncle Tito is unable to find The Wild Book “because he has only lived in the past or the future” and “has never shared anything with anyone.” In what ways does Uncle Tito only have a past and future? Does this change in the course of the book? 8. 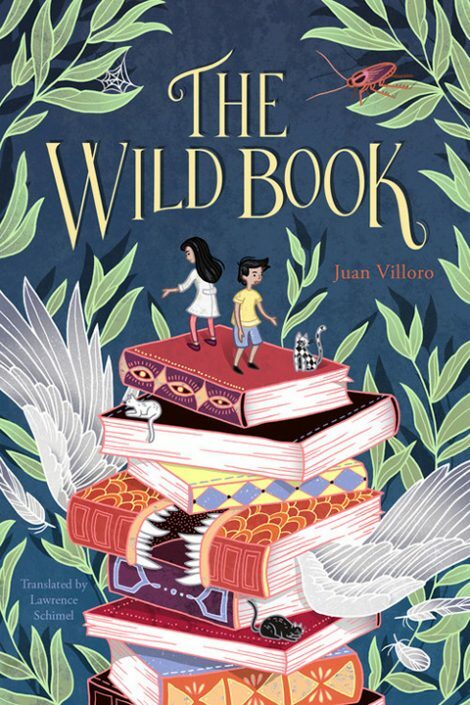 Towards the end of their adventure, Catalina tells Juan that she is done looking for The Wild Book, and is “tired of searching for a book that never appears.” Has a friend ever told you something similar? If so, how did it make you feel? 9. Juan is confused and angry about his parents’ separation, writing that they were “experts at using words that could mean many different things.” Do you think reading changed Juan’s attitude towards his parents? How so? 10. Uncle Tito has read many, many books and is very smart, however he cannot add or subtract and is terrible at chemistry. He tells Juan that “The difference between someone who’s vain and someone who’s wise is that the vain man only appreciates what he already knows, and the wise man searches for what he doesn’t yet know.” What do you think he means by this? Uncle Tito introduces Juan to his library, which proves to be an enormous place one can easily get lost in. He uses this opportunity to hint at the existence of The Wild Book, as well as Juan’s true nature as a “Lector Princeps.” Juan receives a postcard from his estranged father; this new adventure therefore serves as an opportunity to both distance himself from the situation as well as find out who he really is. Afterwards, Uncle Tito showed me some of the sections of his enormous library. As we wandered the house, Ivory and Obsidian followed us at a discreet distance. Domino, on the other hand, climbed up onto the shelves and sometimes knocked down a book. Perhaps he was responsible for the books’ changing location. Uncle oriented himself without difficulty in those rooms whose sizes were impossible to calculate. From one room you moved into another, and suddenly you found yourself in an inner courtyard with a glass roof. The books didn’t merely occupy all the walls, they also formed a labyrinth inside each room, making movement through them even more difficult. From one wall you could never see the wall across from it—there were too many books in the way! Those sounded like the titles of random books; however, they were the names of sections which, in a very strange way, brought together different books. For example, the section “Explorers Who Never Set Out” contained seventy-two volumes related to this curious subject. It seemed my relative had books about the most diverse topics. I asked him if he had bought any books that dealt with koalas. Uncle had received something that left him quite overwrought. “My nerves make me forget the things I learned when I was your age,” he said. We went into the kitchen, where he took a knife, cut the cord that bound the package, tore away the brown wrapping paper, and showed me a very old book with a dark blue cover. It looked as if it were bound in whale skin. Uncle opened it. It was written in a language I didn’t understand. “Let me go urinate, then I’ll brew a pot of my smoky tea and I’ll tell you everything,” Uncle said. “Not so fast, Nephew. Over the course of many happy years, I’ve learned that every book has a spirit. That spirit searches for its reader—its favorite, ideal, absolute reader.” His eyes shone with a rare delight. I looked at the hairs that poked out from my uncle’s nostrils and the white mane of hair that fell all disordered down his back. His bulging eyes stared at me intensely, as if I were an insect under a magnifying glass. I am ashamed to say it, but right then I thought he was quite mad. “The books move around by themselves?” I asked him. At that moment, Eufrosia arrived with a cake that smelled delicious. It seemed terrible to me that someone so interested in books would make scatological jokes like a little child. Uncle Tito really acted like a loon. While we ate the delicious pie, my relative scattered crumbs everywhere. I had never seen anyone eat with such enthusiasm and such clumsiness. Eufrosia returned a short while later with a vacuum cleaner. Since Uncle hates noise, except for that which he makes himself when he chews, he covered his ears for a while and we couldn’t keep chatting. Unlike Uncle, Eufrosia loved to hear sounds. For example, the noise of the vacuum didn’t stop her from hearing the front doorbell. She went to see who it was and returned with a letter. When the mail arrived at home, I always hoped there was a letter for me, but the letters were always for my father. Now, for the first time, I received a letter. It had a stamp that showed Napoleon from the times when he was a young soldier and had long hair. The envelope contained a postcard. One side had an image of the Eiffel Tower and on the back, my father’s chicken-scratch writing and his signature like twisted wires. to the zoo and to a soccer match. Right then I didn’t want to go to the zoo or to watch a soccer match. I was about to tear up the postcard. The Eiffel Tower reminded me of the iron that I should take, which tasted terrible. Eufrosia had turned off the vacuum and Uncle was looking at me curiously. I was ashamed to be upset. I couldn’t just tear up the postcard as if I were a lunatic in some film. To calm down, I asked Uncle to keep talking about the books that change location on their own. I thought we would go out into the garden that surrounded the house, but that’s not what we did. For my uncle, “fresh air” meant moving to a place with fewer books than usual. We went to one of the many large rooms that made the house strange, which I couldn’t have found without getting lost. It was a room full of rugs with complicated designs (like intertwined serpents) and potted ferns, which got sun from a skylight. There were only books on a desk and on the coffee table. Uncle left the room quite hurriedly. I looked at the ferns and they seemed like fabulous plants to me, like a miniature jungle. Were there spiders in there? The ambience suggested something strange. Uncle returned a few minutes later. I realized all the coincidences that had made it possible for me to be there. After my father left, my mother needed to be alone in order to take care of things and finally gave in to Uncle’s begging for me to visit him.